More and more organizations are taking the plunge and migrating their on-premise Exchange mail systems to the cloud, but in many cases, rather than move everything all at once, it makes more sense to set up a hybrid configuration so that you can do a staged migration. 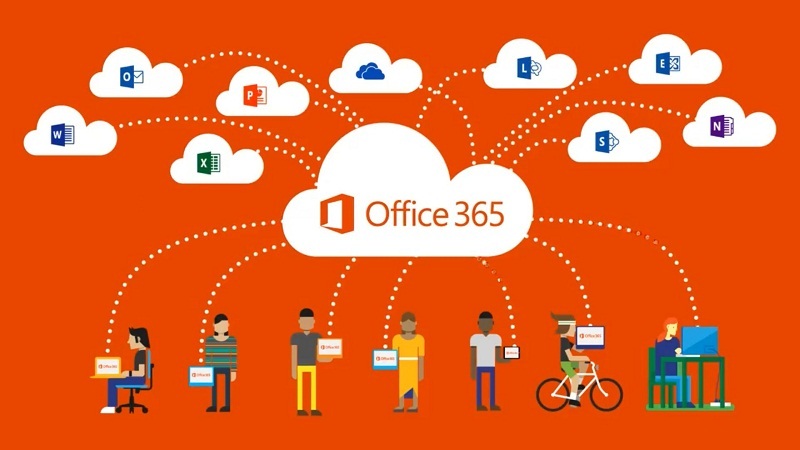 This means you’ll connect Office 365 to your on-premise email system and then gradually move user mailboxes over to the cloud. There are a number of preparatory actions that you need to complete prior to connecting your on-premise Exchange server to Office 365. If you’re running Exchange 2010 or 2013, the Hybrid Deployment Configuration Wizard makes it easy. There are several preparatory actions you need to take before connecting Office 365 to the on-premise Exchange server. You’ll need to configure Outlook Anywhere on the Exchange server and verify that you can connect through it. You also must make sure you have the proper permissions for accessing the mailboxes that you want to migrate over to Office 365 (Domain Admins group members have these permissions). You’ll also need to disable Unified Messaging if it’s enabled on the mailboxes you want to migrate (you can turn it back on after they’re migrated). Note that you also must verify that you own the domain, which you can do, as an Office 365 global admin, using the domain wizard in Office 365. And you’re still not yet ready to connect the systems. First you have to create the user accounts in Office 365 that correspond to your on-premise users, and then create a list of the mailboxes that you want to migrate in a .CSV file. You can have up to 2000 mailboxes per .CSV file and you can create multiple files if you need to migrate more mailboxes than that. The .CSV file can be created in Excel or even in a text editor such as Notepad. In this article I'll show you how to connect Office 365 to your on-premise mail server. Sign into Office 365 with your organization’s account and click the icon in the upper left corner that looks like a grid. Select Admin. Expand Admin in the admin center and select Exchange. Now you’re in the Office 365 Exchange admin center. Click Recipients and then click Migration. Click the More … link at the top and select Migration endpoints. The Migration Endpoints dialog is displayed; select New +. Then you’ll see the Migration Endpoint Type dialog. Here you need to select Outlook Anywhere and then Next. The next page is the Enter On-Premise Account Credentials dialog. Here you will need to enter the email address of a user whose account you want to migrate (this can be any user to test connectivity), then the user name and password of an admin in the on-premise organization. Then click Next. When Office 365 connects to the Exchange server on-premise, you’ll see a message showing the connection settings. Click Next again, then on the General Information page, enter a name for the endpoint. You can define the maximum number of concurrent migrations and incremental syncs if you want, or use the defaults. To create the endpoint, click the New button (which is a little confusing). This process will create your migration endpoint and now your Office 365 org is connected to your on-premise Exchange server. Of course, we’re dealing with computers and networks here. As all IT pros know, sometimes it doesn’t work the way the instructions say it will. If Office 365 isn’t able to connect to your Exchange server, you may have to do a little troubleshooting. Make sure that you type in the fully qualified domain name for the on-premise Exchange server (host name of the mailbox server) and the FQDN for the RPC proxy server for Outlook Anywhere (usually the same as the Outlook Web App URL). After you get Office 365 connected to the on-premise mail system and create your migration endpoint, then you can start to migrate your mailboxes. But that’s another topic for another day.